At 11 p.m. on September 7, 2013, Chicago Police Officer Kenneth Walker went from his regular nine-hour shift to his second job as a security guard at a West Side public housing complex. Walker had been working 16 hours straight when he saw Marlon Horton at 6:30 a.m. the next morning, trying to sleep in the apartment lobby. Horton, unarmed and apparently intoxicated, left the building and began urinating near Walker’s car. Surveillance camera video shows Walker try to kick Horton’s legs out from under him, setting off a brief confrontation. Minutes later, Walker fired a single gunshot into Horton’s chest, killing him. The shooting highlights the potentially deadly consequences of police officers working second jobs, unregulated, as private security guards. A joint Chicago Reporter/CBS 2 investigation examined the problems that can arise when police officers moonlight. The lack of oversight exposes the city to potentially costly misconduct lawsuits when things go wrong. Horton’s family has sued the city. The suit is still pending, so it remains to be seen how much, if anything, the city will pay. The average settlement in fatal police shootings from 2012 to 2015 was $2.3 million. When confronted by CBS 2, Walker declined to comment on the shooting or the lawsuit. Two-thirds of the departments, for example, limit the number of hours an officer can work a second job in a given day or week. Most department cap an officer’s combined regular shift and second job at 16 hours per day or even less. Chicago has no such regulations. In the Horton case, a limit could have prevented Walker from working over 16 hours straight. A plan released by CPD in March to address some of the DOJ’s findings does not mention toughening its oversight of moonlighting. The Reporter identified at least 11 complaints of excessive force and unnecessary display of a weapon from 2014 to 2016 that appeared to involve moonlighting, based on records from the Independent Police Review Authority. The problem may be more widespread, but there is no way to tell. IPRA (which will be renamed the Civilian Office of Police Accountability this fall) does not tag or categorize whether excessive force complaints involve secondary employment. None of the 11 complaints was sustained, meaning IPRA did not find the officers at fault. The department blames its weak oversight on a provision in the police union contracts. That provision states that officers cannot be required to disclose “income, assets, source of income” or other types of personal information. “Any change to the secondary employment provision has to be a part of collective bargaining (negotiated) by law,” a CPD spokesman wrote in an email. The city is currently negotiating new contracts with the four unions that represent officers, sergeants, lieutenants and captains. The contracts and department policy give CPD the right to restrict secondary employment for good cause. But when the Reporter filed a public records request last year for all such instances since 2011, CPD said it had no records. Community organizations, with the backing of the City Council’s Black Caucus, are demanding changes to the contracts as part of policing reform. The organizations want to remove the ban on disclosure of second jobs, among other provisions. The unions have vowed to fight any changes. After an 18-month probationary period, the lowest-ranked officers make $72,510 per year. That doesn’t include uniform and other allowances, benefits or pension contributions. Richard Wooten, a retired CPD officer who now runs a private security company, cautioned that the department would “have morale issues” if it tried to regulate moonlighting more rigorously. He said rank-and-file officers, who typically work second jobs to send their kids to private school and college, or sometimes to pay for a messy divorce, would not take kindly to stricter oversight. Nationally, as many as 40 percent of officers moonlight in some capacity, a recent survey of 162 law enforcement agencies suggests. That could mean as many as 300,000 officers working secondary jobs in a given year, putting in up to 43 million hours of work for private employers. 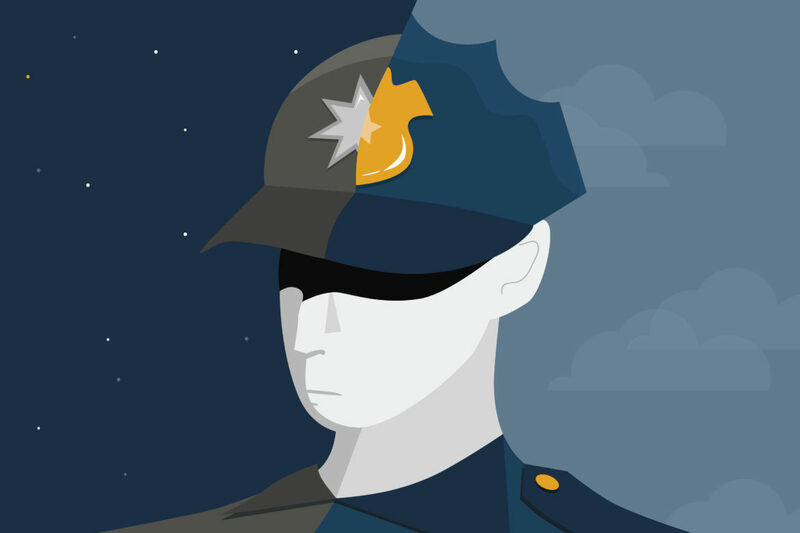 Five ways Chicago could regulate moonlighting The Chicago Reporter surveyed the nation’s 50 largest police departments and found strategies Chicago could adopt to rein in moonlighting. Seth Stoughton, a law professor at the University of South Carolina who conducted the survey and studies police regulations, recalled working occasionally at a local nightclub when he was an officer in Tallahassee, Florida. Other Tallahassee officers did too. “I can’t think of any officer who didn’t moonlight at some point,” Stoughton said. Interviews with retired Chicago officers reveal that moonlighting is widespread and CPD could easily track it. 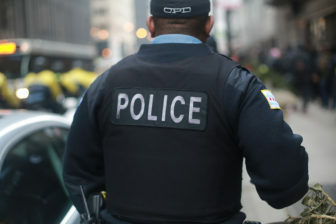 Most officers hear about off-duty security jobs through word of mouth, and many of the security companies are owned by current or former CPD officers. Absent that, dozens of online job postings advertise private security work specifically for off-duty cops, in schools and apartment complexes, at Chicago Bears games and the Lollapalooza music festival. Some security companies even post job openings on bulletin boards in police stations. “The department knows that officers are working [security] because, for the most part, they have to sign off on certain documents that have to be maintained by security agencies,” said Wooten. But neither the city nor the state track or collect the forms. The lax oversight makes it difficult to enforce CPD’s minimal regulations on secondary employment. For example, CPD prohibits moonlighting at bars or liquor stores, but interviews with former cops, court records, and citizen complaints suggest that officers do so anyway. The department has not disciplined any officer for violating that ban since at least 2010, records from the department’s Bureau of Internal Affairs show. Eighteen of the 30 moonlighting investigations by Internal Affairs from 2010 to 2016 stemmed from allegations that officers were working while on medical leave. Twelve stemmed from various other allegations, such as working as an extra for the NBC drama “Chicago Fire” during a regular CPD shift. The Cook County Sheriff’s Office is among those law enforcement agencies that take steps to limit potential financial liability and conflict of interest problems stemming from moonlighting. The sheriff’s office requires private security companies who want to employ deputies or correctional officers to sign an indemnification agreement that lets the county off the hook if anything goes wrong. Because CPD takes no steps to limit liability, city lawyers can end up defending officers for misconduct that happened while they were working second jobs. At least six lawsuits have been filed against officers who were working off-duty since 2011; two of them, including the Horton shooting, are still pending. The city has defended the officers in four of the cases, costing taxpayers more than $100,000 so far. Jarrod Horton holds the poster his family used in the first anniversary memorial service for his brother Marlon, who was fatally shot by an off-duty police officer working as a security guard in 2013. “It’s something we are still recovering from,” he says. Marlon Horton’s brother, Jarrod Horton, filed a federal lawsuit against Walker, the city, the private security company that Walker worked for, the private management company that oversees the apartment complex and the Chicago Housing Authority, which owns the property. Two city lawyers are defending Walker, and the city has paid an additional $80,000 so far for an outside attorney to assist them. The city is stuck defending Walker because of a contradiction between the department’s secondary employment policy and the city’s obligation to indemnify police. Meanwhile, because CPD doesn’t keep tabs on where or when its officers moonlight, the department did not know that the private security company Walker was working for, Maverick Security, did not provide him with intermediary weapons, like a Taser or pepper spray, or even handcuffs. The lack of handcuffs calls into question Walker’s assertion that he was trying to arrest Horton. “Shouldn’t the city, if they’re going to be liable for [an officer’s] actions, be sure that they are sending them to companies that are reputable, that give them proper training and proper intermediary weapons?” said Jeffrey Granich, the attorney for Marlon Horton’s family. In November 2013, two months after Walker shot Horton, another off-duty officer working for Maverick allegedly punched a 17-year-old girl twice in the face during a confrontation at the Altgeld Gardens public housing complex on the far south side. The city settled a lawsuit in that case for $12,000 in March. In another lawsuit, taxpayers could end up paying $300,000. In this case, the officer, Hillel Watkins, was working as a security guard at a bar, immediately before his regular shift, and apparently not paying taxes on the extra income–all violations of department policy. The incident happened on July 4, 2013, at Pier 31 on 31st Street Beach. Watkins confronted 24-year-old Kasandra Bellamy as she tried to use the men’s bathroom because the line for the women’s room was too long. Watkins, a 6-foot, 6-inch, 245-pound former college basketball player, forcefully pushed Bellamy against the bathroom wall and threw her to the ground, according to the lawsuit. He claimed in a deposition that Bellamy, who is a foot shorter and 100 pounds lighter, attacked him first by putting her hands around his neck. But other men in the bathroom apparently saw Watkins as the aggressor and tried to pull him off of the young woman, according to the officer’s deposition. Neither Watkins nor Bellamy responded to requests for an interview. 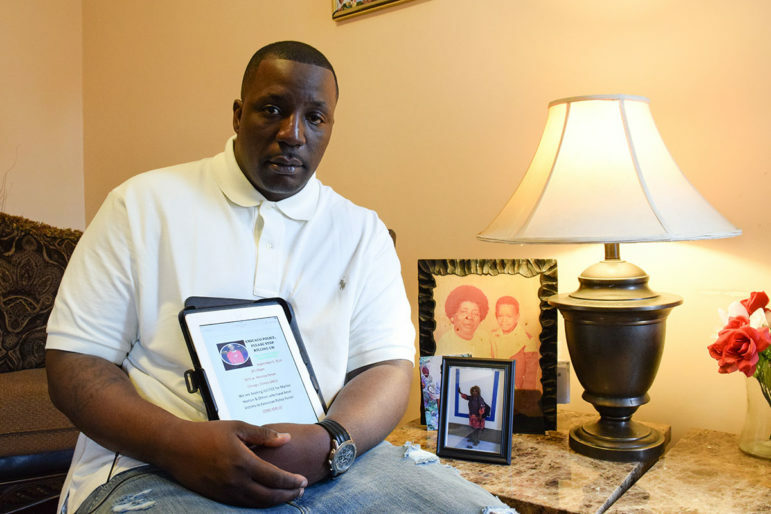 Last July, a jury found Watkins liable for excessive force and awarded Bellamy $17,000. Like Walker, Watkins said he flashed his badge and announced himself as a police officer, so the city represented him in court and will have to pay up to $298,000 in fees for Bellamy’s attorney (the city wants the fees reduced to $96,500). Watkins was supposed to pay $8,000 of the jury verdict himself, but has not, according to Bellamy’s attorney. The judge has ordered the city to garnish Watkins’ wages. Neither Watkins nor Walker has been disciplined, and both are still on the police force. 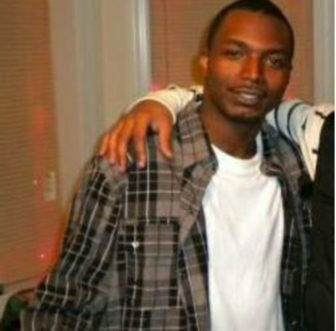 Nearly two years after Walker killed Marlon Horton, IPRA said the shooting was within policy. Jarrod Horton disagrees, and he still wonders why Walker was working that night in the first place. He hopes the lawsuit will force the city to pay more attention to officers when they work as private security guards. Every major police department in the nation does more than Chicago to regulate police officers who moonlight as private security guards. The issues at the center of today’s Chicago Police Department scandal following the shooting of Laquan McDonald are disturbingly similar to those raised by community groups in 1972. As usual, City of Chicago is behind national standards of common sense. // It was no surprise that it was Chicago Dept of Aviation Security that dragged the doctor off the UAL plane at OHare & its no surprise Chicago taxpayers are on the hook for greater liability exposure from moonlighting cops in part because of language in the union contract. // Rahm & his Chicago Democratic crew are 100 % in charge.